As an important member of the "going global" national team, CMEC has always concentrated efforts to fulfill the "Belt and Road" initiative and actively contributed to the economic and trade relation between China and Arab countries. From international cooperation parks to trade import and export, from infrastructure construction to new energy cooperation, from engineering design consulting to foreign trade whole-process services, etc., in the economic and trade cooperation with Arab countries, CMEC upholds the corporate philosophy of "Create Ideas, Achieve Dreams". Based on the project, with the brand as the core, quality as the foundation, services as the guarantee and social responsibility as its mission, CMEC stays earnest and pragmatic and does solid work to continue to build and tamp the Sino-Arab economic and trade cooperation platform. 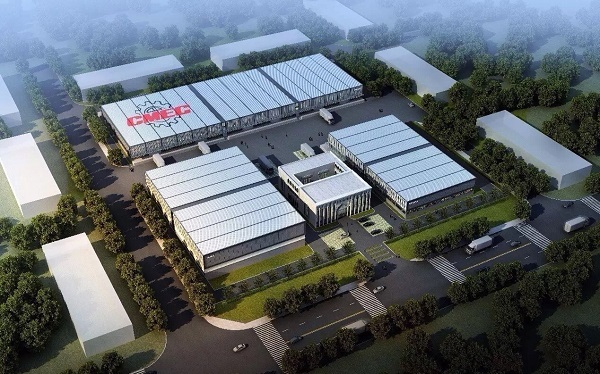 CMEC is one of China's earliest "going global" engineering contracting enterprises and undertakes international engineering contracting services and international trade businesses across more than 150 countries and regions of the five continents. As a faithful inheritor of the spirit of the Silk Road, CMEC has branches in 17 countries and completed projects in 21 countries along the "Belt and Road", with a solid market base and a good brand image. In CMEC's circle of friends, Arab countries have always been old friends and good friends. 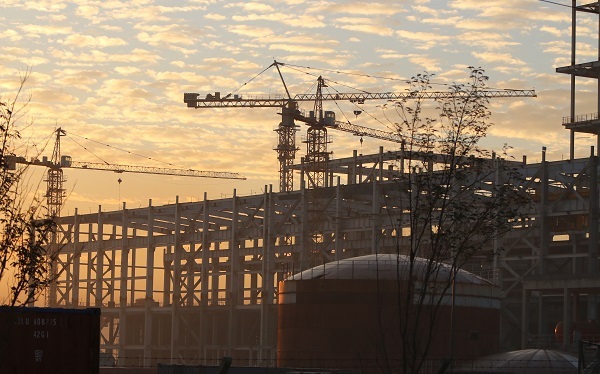 Iraq's Salahuddin power station project, Caracho cement plant project and the expansion project of Basra gas turbine combined cycle power plant and other projects support the extensive cooperation between both parties in the project contracting. Small complete equipment of cable cars, high-voltage power transmission cables and components are exported to Western Asia market. Engineering and construction machinery products, mining machinery and other products are also continually entering countries and regions with ongoing large-scale infrastructure construction. In order to serve old friends and make new friends, CMEC has set up a Middle East regional company in Dubai, UAE in recent years which is committed to providing one-stop customized solutions for project packages including pre-project planning, EPC, financing and operation and maintenance. The main scope of business includes power and energy, transportation, electrommunication, water projects and other important industries and sectors. The establishment and construction of Dubai regional center is an important layout of CMEC in the Arab market and a hand grip that connects and mobilizes the markets of Europe, Asia and Africa. 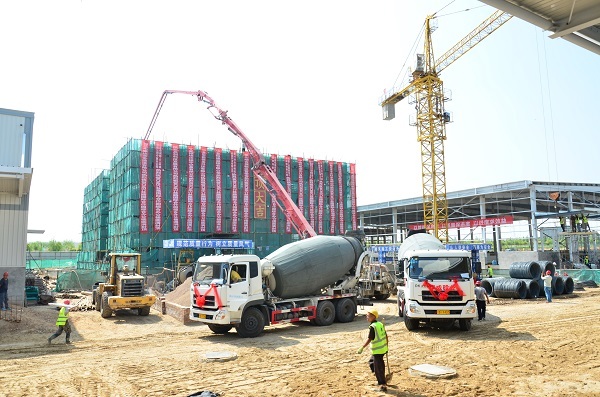 CMEC not only has layout overseas, but also pays attention to create platforms in China for docking Arab friends, and the "Silk Road International Cooperation Park" under construction in Yinchuan, Ningxia is such an example. The total planning area of the "Silk Road International Cooperation Park" is nearly 780mu, with a total investment of RMB1.5 billion, which will be constructed in two phases. The first phase of the project is expected to be completed by the end of October this year, and the park will be officially opened for operation in December. The "Silk Road International Cooperation Park" contains bonded processing, bonded logistics, bonded services, cross-border e-commerce and other business formats, and is positioned to connect domestic and foreign markets and resources, utilizes the location and policy advantages of Yinchuan Comprehensive Protection Area and the resources and experience advantages of CMEC in the international trade, and through the one-stop service of "CMEC supply chains" that integrates logistics, information and funds, helps enterprises in Ningxia and its surrounding areas, areas along the "Belt and Road", especially the Middle East to "go global" and "bring in". At present, projects including import and distribution of Nordic high-grade fur, import and sub-package of Central Asia edible oil, import and distribution of full cold-chain halal beef are to be settled in the park. In addition to the traditional business of trade and engineering contracting, CMEC clings to the pulse of the industry, continuously opens up new fields and perfects the industrial chain. The spirits of innovation and working in earnest make CMEC get more and more new customers and win the trust of old friends in the Arab world. After several years of unremitting efforts, the products of CMEC New Energy have begun to enter the Arab market. Among them, the solar off-grid components and small home systems have been supplied to Middle Eastern importers and are widely used in the Middle East, East Africa and North Africa. On account of the environmental characteristics of the Middle East, CMEC has launched a series of products including solar water pump, solar street lamp, and the off-grid household kilowatt system. At present, CMEC is integrating resources to create a design consulting business with its own brand features. China JKan Research Institute of Engineering Investigation and Design Co., Ltd., established in 1952, is an important part of it. China JKan Research Institute of Engineering Investigation and Design Co., Ltd. has completed more than 200 projects of engineering investigation, design, surveying and mapping, testing and contracting in over 60 countries along the "Belt and Road", covering fields of hydropower, thermal power, highway, railway, port and civil construction, etc. The engineering investigation of Sri Lanka's Puttlam coal-fired power plant, the design, surveying and quality control of the Angola RED100,000 housing project and other high-quality projects make China JKan Research Institute of Engineering Investigation and Design Co., Ltd. a comprehensive service provider which provides all-around and whole-process services for the "Belt and Road" and the vast Arab owners in the engineering construction. "It is always a pleasure to greet friends from afar!" Arab countries generally pay close attention to and actively respond to the "Belt and Road" initiative, which gives new impetus to the economic and trade cooperation between China and Arab countries. As a faithful inheritor and practitioner of the spirit of the Silk Road and an old friend of the Arab people, CMEC will continue to fully participate and actively make contribution to promote Sino-Arab economic and trade cooperation to develop toward a brighter future.